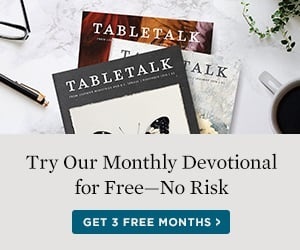 Tabletalk: How did you become interested in composing hymns? R.C. Sproul: During the Reformation, Martin Luther wanted to reform the whole church—primarily at the point of doctrine. But he also said that the life of the church has to be enriched by more than just doctrine. And so Luther composed music. Second only to biblical truth, he argued, music stirs the soul and brings it to the transcendent majesty of reverence and worship. An “ah-ha!” moment happened to me when I went on a trip to Eastern Europe at the time when the Soviet Union collapsed. We went into countries such as the Czech Republic (formerly Czechoslovakia), Hungary, and Romania as one of the first American groups teaching theology in those countries. Part of that experience was having Sunday worship with the people there. I didn’t speak Czech, Hungarian, or Romanian, so when I spoke I had to have a translator. But when they sang, it was the same hymns that we sing. I knew the music but not the words. I noticed what a wonderful thing it was that the music of the church brought a unified experience in worship that crossed national boundaries. I think it was around that time that I began getting interested in doing whatever I could to help with the revival of Reformation truth by writing hymns. The first hymn I wrote was “Glory to the Holy One.” I wrote the lyrics and the assistant to Leonard Bernstein wrote the music; he wrote the music for my first three or four hymns. TT: How did the Glory to the Holy One hymn project get started? The lyrics were timeless and majestic. But I didn’t think the melodies soared like I thought they could. I asked R.C. if I could rewrite the music to one of his hymns. So I did my thing and sent him a demo. Both of us felt like the new setting gave the hymn new life. It is one thing to write a lyric—there is a lot of great lyrical content out there, especially in the older hymns—but it is another thing to make that lyrical content “singable” and memorable. You want to be able to hear it, walk away, and sing it later. So we started formulating ideas, going back and forth, and collaborating on a much larger scale than we ever anticipated. TT: What did it look like for you to write and compose hymns together? RS: The usual pattern that we worked with was I would write the lyrics, give them to Jeff, and then he would write the music. JL: I cheated on one. I wrote the music first, gave it to R.C., and said, “Now write the lyrics.” He wrote those lyrics in about a half-hour while eating lunch. I was afraid to play it for him because I hadn’t written the music first on anything. I thought, “Oh, he’s not going to like writing the lyrics second.” Then I played it for R.C. and his wife, Vesta, and they loved it—much to my surprise, because it is outside the box compared to the rest of the hymns. I couldn’t help but write the melody all out, give it to R.C., and say, “We should call this the ‘Highland Hymn.’ I don’t know what it should say.” Immediately, he heard it and said, “Just give me the pad,” and off he went. TT: Why should we sing hymns? RS: So much education comes through hymnody as people sing hymns. One of the ways in which men like Augustus Toplady and Charles Wesley have influenced the Christian faith is by communicating the truth of the Bible through hymns. TT: What are some of the goals of this project? JL: “Worthy Is the Lamb” is a beautiful hymn. That hymn is a more traditional melody with a bottom-to-top, vertical look at what heaven will be like as we worship the Lamb. Trying to capture that in music and text is so difficult because I don’t think we can fully conceptualize what that’s going to be like. As R.C. has said to me, there is something that music does that can’t be expressed in a book. It goes somewhere deeper. With these hymns, we try to express ourselves, with the Lord’s help, through songs and let those melodies and lyrics draw us closer to the Lord. That’s the ultimate purpose of why we have written these pieces. RS: We talked about how there has been a decline in the quality of music. Take the song that is at the top of the charts this week, lock yourself in a room for five hours, and listen to it over and over again. At the end of five hours, you’ll throw the music against the wall. Now, go in there with Bach’s “Jesu, Joy of Man’s Desiring,” and listen to it for five hours. At the end you’ll be picking up nuances that you missed for the first four hours.It never gets old or stale. There’s a reason why hymns like “All Hail the Power of Jesus’ Name,” “When I Survey the Wondrous Cross,” “Rock of Ages,” and “Holy, Holy, Holy” have survived for so long. Out of the thousands of hymns that have been written, they’ve endured. Why? It’s because of their content and beauty. Our dream is that one or two of the hymns from this project might still be around a hundred years from now. TT: Jeff, how did this project compare with the experience of writing for major motion pictures and tv series? TT: What have you enjoyed about working together on this project? RS: I have been teaching for more than fifty years, and one of the things I struggle with in the classroom and in the church is, “Do they get it? Do they really understand?” I am trying as hard as I know how to communicate the sweetness of biblical truths to them. One of the things that I have loved about working with Jeff is that when I write lyrics, he gets them. The music he created translated the lyrics without distortion and enhanced them. His music takes the sweetness of the truth to a whole different level. JL: It has been a privilege to put what R.C. has been expressing for the past fifty years theologically into music. I hope that for many years to come, people will hear these truths expressed by the two of us through music. I appreciate all that R.C. has done not only for the church but also for me personally. Dr. R.C. Sproul and Jeff Lippencott collaborated to create the album Glory to the Holy One, combining Dr. Sproul’s lifetime of theological study and reflection with Mr. Lippencott’s musical expertise. 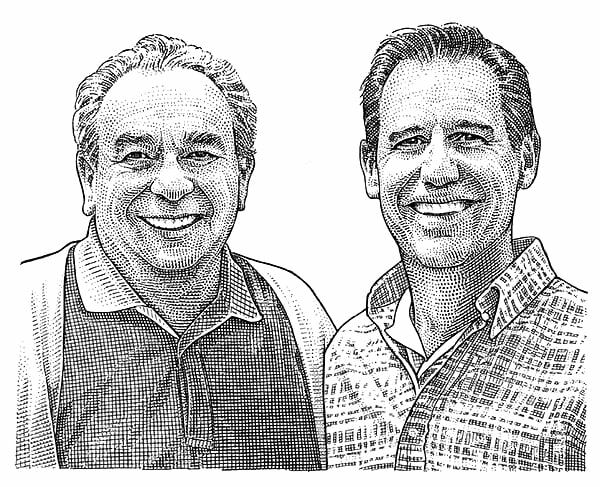 Dr. Sproul is founder and chairman of Ligonier Ministries, copastor of Saint Andrew’s Chapel in Sanford, Fla., and executive editor of Tabletalk. Mr. Lippencott is􏰀 an 􏰀Emmy-nominated composer responsible for the music of many hit television series and film scores. He is cofounder of Ah2 Music in Valencia, Calif.